I am in the second year of my PhD at the Molecular Analytical Sciences CDT at the University of Warwick. My background is in molecular biology and biochemistry and I have previously worked as a Research Assistant in the School of Life Sciences at the University of Warwick and completed a BSc in Biological Sciences at the University of Leicester. 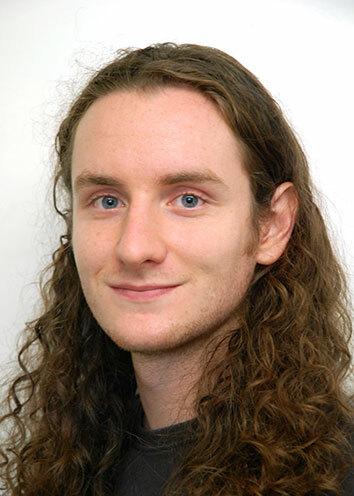 My PhD work focuses upon developing techniques for the determination of trace organic impurities in pharmaceutical formulations as part of the Biophysical Chemistry Group and the Warwick Electrochemistry and Interfaces Group in the Department of Chemistry. Mini Project 1 - Protein Biopharmaceutcals: Probing correct folding with new near IR, polarised Raman spectroscopy, and circular dichroism spectroscopies. Mini Project 2 - Development of fast magic angle spinning solid-state NMR methodology to characterise protein dynamics from carbon-nitrogen dipolar couplings. Investigating the effects of gene-looping upon transcriptional noise. Using single molecule RNA fluorescence in situ hybridisation (FISH) and flow cytometry FISH to examine the mechanisms of transcriptional regulation and investigating possible effects of the phenomenon of gene-looping upon noise and transcriptional reinitiation in human cells. Promotor modification for dosage dependent transcriptional control in Saccharomyces cerevisiae. Modifying and characterising a copper responsive promoter in S. cerevisiae for the development of a copper concentration dependent transcriptional control system. Examining the effect of Lamin A mutation upon heterochromatin protein association in human cells. Quantifying affinity of heterochromatin associated proteins (HP1 family) to lamin A mutant isoforms which cause laminopathies in order to examine the involvement of telomeric chromatin in accelerated aging disorders (eg. Hutchinson-Guilford Progeria).